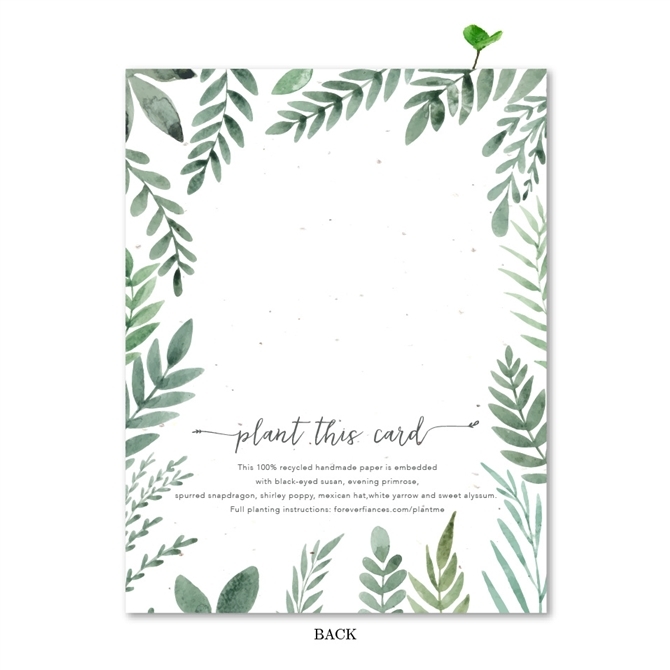 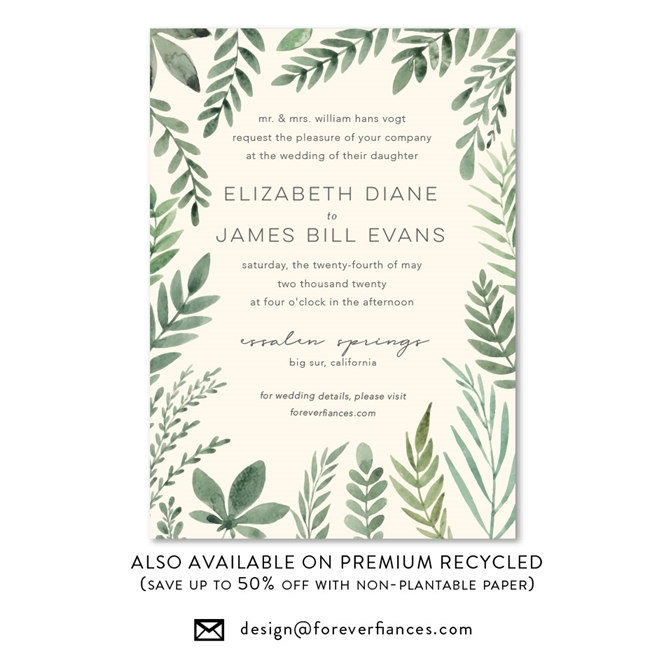 Discover our new green foliage garden wedding invitations. 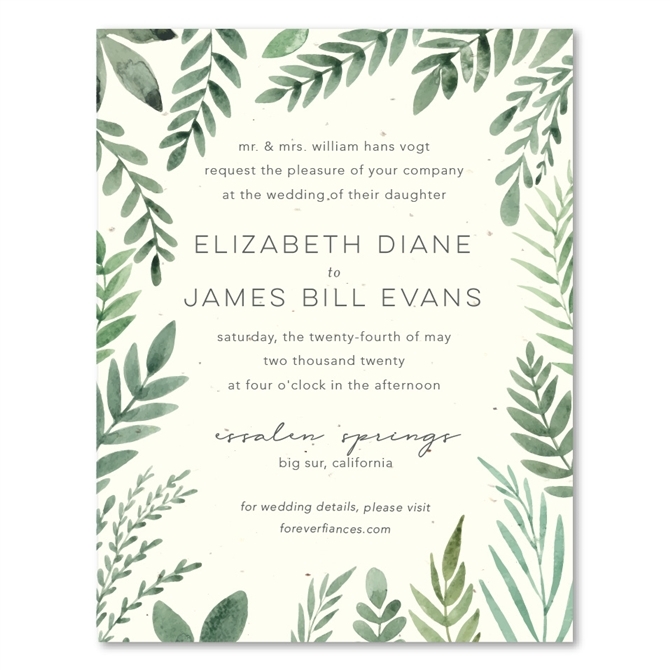 Invite garden spirits to your outdoor reception. 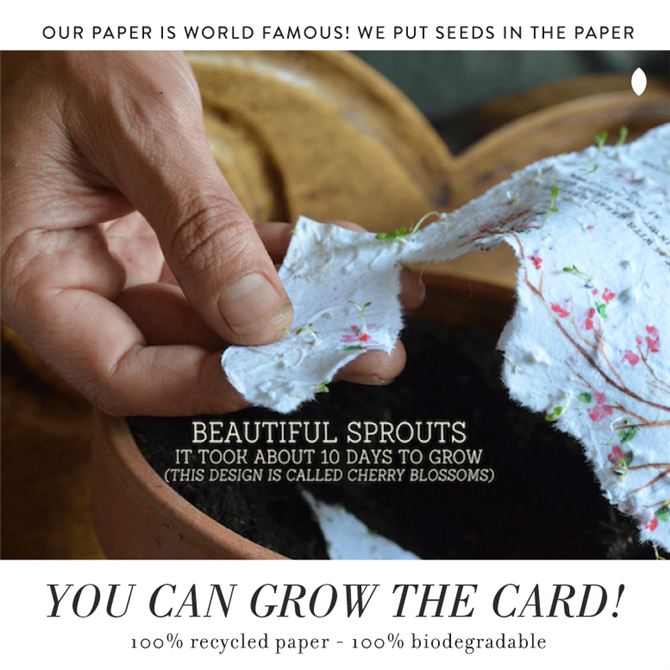 Printed on 100% recycled seeded paper in San Diego. 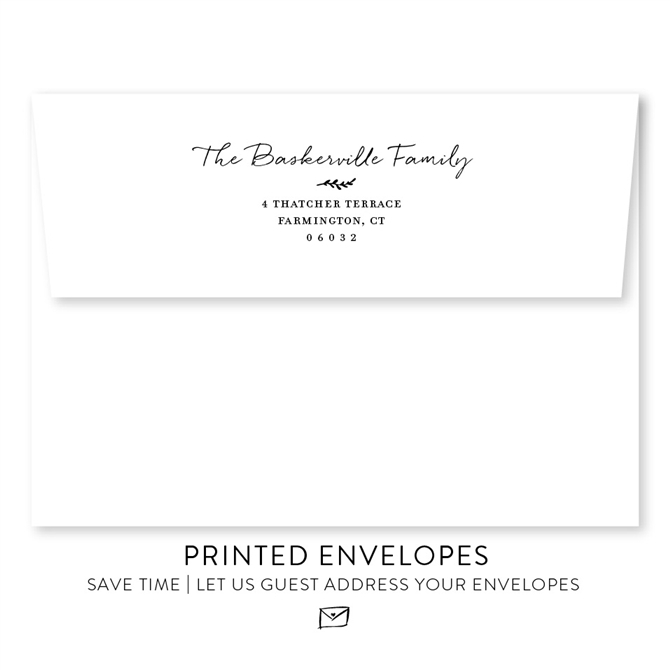 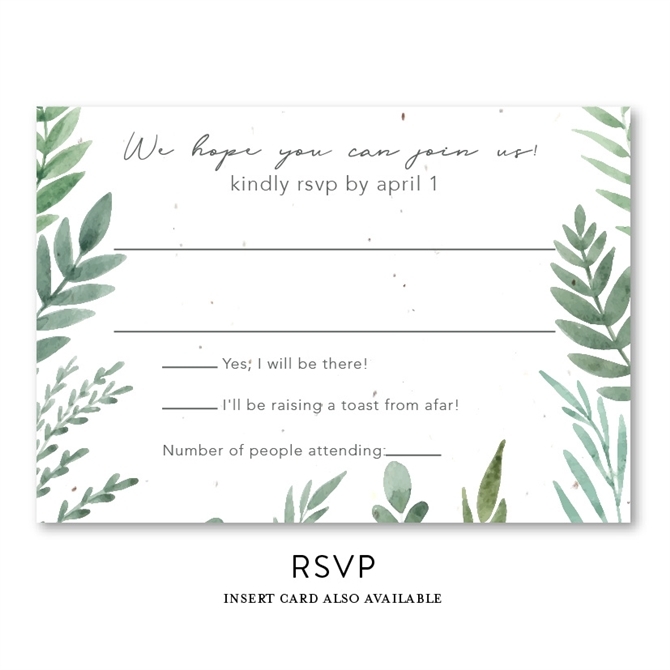 Matching Matching stationery: response cards, reception cards, all-in-one cards, thank you notes, place cards, and classic invitations are also available.